With a well-established history of promoting upward social mobility through admissions, generous financial aid and scholarship packages, and robust student support initiatives, the University of California San Diego has been chosen to host the first-ever Higher Ed Innovators and Disruptors Social Mobility & Student Success Conference on Feb. 5 and 6. More than 100 participants are expected to attend the two-day event, which will bring national experts, thought leaders, scholars and practitioners to develop strategies to advance diverse student populations across the U.S.
UC San Diego was recently named a Social Mobility Innovator by CollegeNET, Inc., a provider of web-based on-demand technologies for higher education and co-sponsor of the conference. CollegeNET, Inc. selected UC San Diego as the host university based on its strong track record of promoting upward social mobility. For example, the campus has been listed among the top 10 percent of schools in CollegeNET’s Social Mobility Index for the past four years. The index measures the extent to which a college or university educates more economically disadvantaged students, at lower tuition, and graduates them into promising careers. A part of being a top ranked university, the campus has launched new and innovative academic success resources which have contributed to a cultural shift, designed to spark new ways of achieving inclusive excellence. UC San Diego has earned similar accolades from other national organizations. The campus has repeatedly been named the top public university in the nation by Washington Monthly for contributions to social mobility, research and public service. In addition, the campus was praised by Money Magazine as a top school for students to get a quality education at an affordable price. 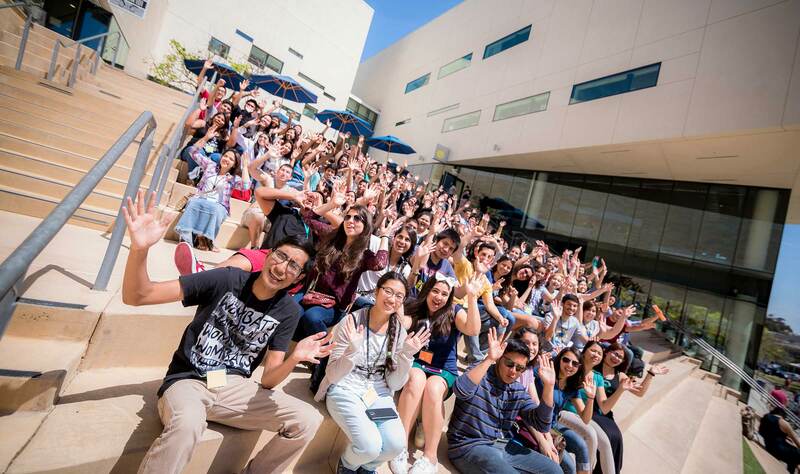 This fall, UC San Diego welcomed a dynamic incoming class that includes 40 percent low-income students and 37 percent first-generation students. The campus also offers numerous programs like the Chancellors Associates Scholars Program to help underrepresented groups gain admission and then support them through the time it takes to earn a degree. Nearly four out of 10 new students at UC San Diego are the first in their family to attend a four-year university. The number of new freshmen from underrepresented groups has more than doubled on campus since 2012.And the number of ladder-rank faculty and staff from underrepresented groups has grown 30 percent at UC San Diego over the past six years. UC San Diego has developed a robust array of programs and initiatives that place the identity and cultural background of our students at the center. UC San Diego makes a difference in the lives of low-income students through a number of innovative programs. Academic success resources have contributed to a cultural shift at UC San Diego designed to spark new ways of achieving inclusive excellence. For example, theTeaching + Learning Commons provides leadership and support for the university’s teaching and learning initiatives and its commitment to academic success for all students. The Office for Student Retention and Success provides academic success services to several distinct student populations that include historically under-represented students, undocumented students, military-affiliated students and international students. The Higher Ed Innovators and Disruptors Social Mobility & Student Success Conference on Feb. 5 and 6 is expected to attract more than 100 participants dedicated to advancing diverse student populations across the U.S. The first-ever Higher Ed Innovators and Disruptors Social Mobility & Student Success Conference will feature workshops to cultivate paradigm shifts about student success where participants can learn approaches to become a student-ready campus and critically examine the social class divide in educational attainment. The program will also explore how to shape conditions for culturally engaging learning environments. For more information and conference registration, please contact srsconference@ucsd.edu.